When I was pregnant with my middlest child, I craved orange creamcicles. Could not get enough. Because they're creamy and sweet with just enough tangy citrus and oh-so yummy. And honestly, not sure if I've had once since. With my oldest, I craved hard boiled eggs, of all things. Never liked 'em before. Always wondered why we bothered to color eggs in our house when no one wanted to eat them. Well, until I went to school in Houghton and was introduced to pickled eggs (definitely an acquired taste). That has not much to do with anything other than this: my oldest son looooves Yoplait orange creme yogurt. And I love to give it to him. He doesn't drink milk, won't eat cheese. In fact, the only dairy products this kid eats are ice cream and Yoplait orange creme yogurt. He doesn't eat a whole lot of leafy greens, either, so I'm a little concerned about calcium. But (and I think you know me well enough to know where this is going) Yoplait orange creme yogurt is expensive. Eighty cents per 6 oz cup. That's $2.40 for 3 servings per day. $16.80 per week. $72 per month. I love the kid, and I want him to have calcium, but I do not want to pay $72 a month to feed his yogurt habit. First, make some yogurt. I used the recipe here. It uses a crockpot, of all things, and is very straightforward and so easy. 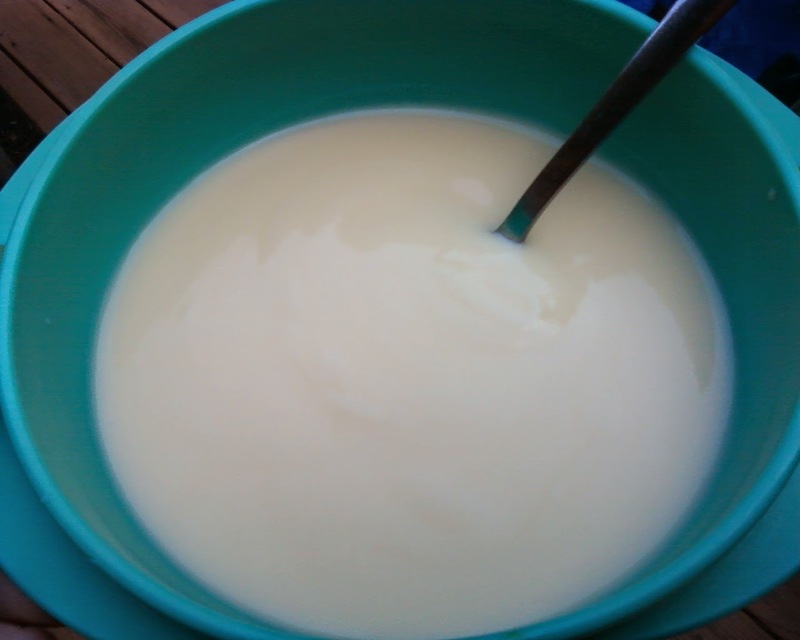 You just heat up some milk, let it cool, add some yogurt, and then let it sit for several hours or overnight. The hardest part is finding a small container of plain yogurt to use as a starter (I used Stoneyfield brand from my grocery store's organic section--it was leftover from a recipe I made last week). I stopped before the straining step because I wanted regular, not Greek style, yogurt. Once the yogurt's made, give it a stir, then scoop out half a cup and save it to make your next batch. Next, add 2 small packages of vanilla instant pudding to the plain, non-strained yogurt. The pudding has the dual purpose of adding flavor and thickening the yogurt a bit. You can skip this step if you want, and just keep the yogurt plain. If you're not sure that you'll be able to use up half a gallon of yogurt within 7 to 10 days, freeze it in individual portion sizes. Somehow I don't think that'll be a problem around here. Next, flavor your yogurt. Add fruit purees, juices, jellies or jams, spices, even chocolate--whatever suits your fancy. You're only limited by your imagination. It's not much to look at, but it sure tastes good! To make a single serving of orange creme yogurt, add 3 Tablespoons orange juice and 1/2 teaspoon granulated sugar to 1/2 cup of vanilla yogurt. To make a larger batch, add 2 1/4 c. orange juice and 2 T sugar to 6 c. of yogurt. It tastes even more orange cremeish after sitting in the fridge for a bit, so keep that in mind and plan ahead. So. Now that you know how easy it is to make your own yogurt, what flavor combinations are you planning to try? The NIV Essentials Study Bible contains the full NIV text of the Bible, along with study helps from 6 bestselling NIV Resources: NIV Study Bible, NIV Quest Study Bible, NIV Archaeological Study Bible, NIV Student Bible, The Great Rescue Bible, and The Essential Bible Companion. This Bible offers 8 different lenses, or ways of looking at the Bible including the Flyover lens, offering an easy to read overview of each book of the Bible; the Unpack Lens to easily understand Bible passages with study notes and charts; the Dig Deep, Look Close lens, helping to understand the historical significance of the Bible; the Q&A lens, offering concise answers to perplexing questions; the Important People in Focus Lens, offering scripture from the perspective of the people of the Bible; the Guided Tour lens, offering a bird's-eye view of the Bible; the Insight lens, offering practical ways of thinking of Bible truths; and the Reflect & Respond lens, which invites the reader to respond in an inspirational focus time. I love the context and deeper perspective offered by the bottom of the page notes and in-text charts of my NIV Study Bible--they make my Bible reading easier to understand and more meaningful, but the NIV Essentials Study Bible goes so much farther. Just imagine, to have all of the best resources for understanding scripture right in one volume. You would have to carry 6 different thick books and page through each one to achieve what this one volume gives you. I am so excited to have all of these resources at my fingertips, and I'm enjoying digging deeper into God's word. Bottom line: this is the most comprehensive NIV study Bible that you're going to find. Do your pocketbook (and your back and shoulders) a favor and buy this one. The grilled chicken is juicy and delicious and the ancho powder provides a sweet peppery flavor without a lot of heat. 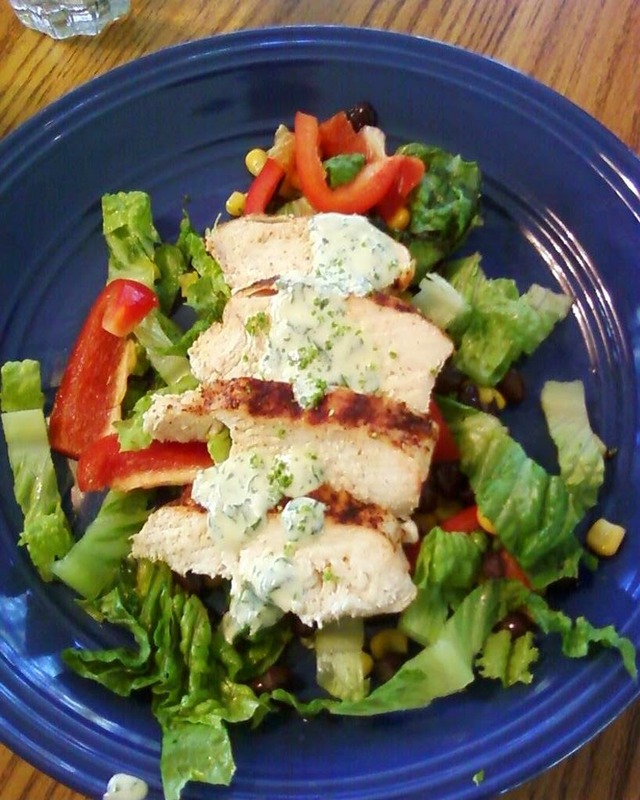 The cilantro-lime dressing compliments the chicken and salad perfectly. This filling dish is a perfectly spiced and delicious southwestern style main dish salad. Lightly spray grill rack with cooking spray. Preheat the grill to medium. In a large bowl, stir together salad ingredients. Refrigerate. With the motor running, drop to garlic through the feed tube of a food processor. Process until finely chopped. Ad the cilantro. Process until finely chopped. Add the mayo or yogurt, oil, and lime juice. Process until smooth. Cover and refrigerate. In a small bowl, stir together the spice mixture. Sprinkle over one side of the chicken. Gently press the mixture so it adheres to the chicken and lightly spray with cooking spray. Grill the chicken for 8-10 minutes, until no longer pink in the center, turning once halfway through. Transfer to a cutting board. Cut crosswise into 1/2" pieces. I'm kind of a cookbook junkie. I love, love, love looking through cookbooks finding inspiration and recipes for yummy, healthy foods to feed my family. That's why I was excited to read Go Fresh: A Heart-Healthy Cookbook with Shopping and Storage tips. The book contains sections on shopping for and storing fresh foods, taking a fresh approach in the kitchen, cultivating healthy eating habits, and finding a healthy lifestyle, along with appendixes featuring a food storage guide, vegetable cooking times, and ingredient equivalents. Oh, and 250 delicious recipes using fresh, healthy ingredients. The recipes are divided into appetizers, snacks, and beverages; soups; salads and salad dressings; seafood; poultry; meats; vegetarian entrees; vegetables and side dishes; sauces and condiments; breads and breakfasts; and desserts. The tips are fairly standard--not much new information there if you've been leading a healthy lifestyle, but good solid advice if you're just starting out. The appendixes are helpful, particularly the vegetable cooking times--I have to look up the temp and time every time I want to roast or grill veggies--it's nice to have it all in one place. Paging through the recipes I found quite a few that I wanted to try, and even more important, that I thought my picky eaters might eat and enjoy. 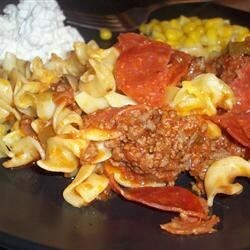 The recipes are well written and easy to follow, using ingredients that are readily available. Each recipe includes calorie count and nutrition information. I have tried 6 recipes from the book so far, including Blueberry-Walnut Chicken Salad, Sirloin with roasted potatoes and vegetables, Grilled portobello burgers with spicy avocado sauce, Country thyme chicken strips, Ancho chicken and black bean salad with cilantro-lime dressing, and Peanutty chocolate-banana freezer. I have plans to make sautéed zucchini with Parmesan and Nordic raspberry almond rice pudding in the next couple of weeks. I loved everything I tried. My family received the new dishes with varying degrees of acceptance, but that was as expected. I think our favorite was the Ancho chicken and black bean salad with cilantro-lime dressing. The grilled chicken is juicy and delicious. The ancho powder provides a sweet peppery flavor without a lot of heat. The cilantro-lime dressing compliments the chicken and salad perfectly. This dish is a perfectly spiced and delicious southwestern style main dish salad, and it's definitely going into our regular dinner rotation. Bottom line: this is a terrific resource if you're looking to "freshen' up your cooking. Two weeks. Two weeks until school starts, and I think we're going to make it. Alive, even. Now that's an accomplishment. If there were a teacher in my life asking me to write a 5 paragraph paper on what I did on summer vacation, it would definitely be heavy on the all-three-of-my-children-survived side. All three of the kiddos are officially registered for school, although we ran into a locker snafu with one of them. It frustrates me, the things the school people don't tell you. Because they've done this a bajillion times and figure it's common knowledge. They fail to realize that for a good portion of the people they're running into, it's the first time. And we don't even know what to ask. And the oh-so-patient disembodied school secretary voice and her calm explanation of the purple half-sheet. Purple half-sheet, my foot. Hubby and I are celebrating our 19th anniversary this week. How is that even possible? In the near future, we will have been married longer than we were not. I've already known my husband for more than half my life. We're going out on a date to celebrate--the anniversary, not necessarily the half-life thing. Without the children, even. So, you know, Hubby and I are going to eat food that someone else prepares for us and someone else cleans up. Yay for not cooking or cleaning up. I asked the babysitter what he wanted to feed the kids, and he said, "something easy." And I said, "something easy like what?" And he said, "well, if I have to make it, it should be something easy." And I, knowing that his definition of "something easy" in the kitchen and my definition of "something easy" in the kitchen are vastly different, insisted, "yes, something easy, but something easy like what?" Cereal. Something easy like ... cereal. Works for me. Another meal I don't have to prepare (but most likely will have to clean up). July happened, and now here we are midway through August. Relentless, that march of time. At the beginning of July, Hubby, AKD, and MC spent a week at Boy Scout camp. They had a great time, as evidenced by their incredible stinkiness upon arriving back home. The boys each ranked up and earned several merit badges. The next week, everybody was home, and not much happened, besides much planning of future meals. Oh, and the end of the soccer season. Whew! Finally. AKD's team won their division and went to the state tournament, but did not advance to the final game. Then Hubby was in Mexico for a week, and MC had football camp. On Friday, AKD when to the county fair with his buddies, and the rest of us headed to the big zoo. They've built a very fun playground (with a HUGE mosquito on which to climb) and splash pad since the last time we visited. The following week, we headed to Voyageurs National Park to spend a week on a houseboat. So fun, and very relaxing. We had a slide on our boat and swam every day. The last week in July, Hubby's sister and her family came to visit. Each day, Chip did something she had never done before. I suspect her husband and kids had never done most of these things, either. We went to a fun nature center with an interactive playground and built a teepee. We watched a lift bridge go up, we went to an indoor amusement park, we went on a paddleboat and went to a drive in movie. Best of all, we hung out and enjoyed each other. The first week in August, Hubby and AKD headed out on a Boy Scout trip to the Boundary Waters Canoe Area Wilderness, while MC, Bubby and I stayed home. We headed to our favorite beach and playground and to an amusement park and zoo. We also got Bubby registered for school, and got MC weighed in for fall football. The next week, this past week, MC had a transition class at his new school. We also spent some time in our pool and just enjoying each other's company. We got MC registered for school and picked up his Chromebook, about which he is very excited. Bubby was enrolled in a Vacation Bible School this week, as well. Yesterday we let our first monarch of the season go. Turns out Stripy is a girl. And not so Stripy as an adult :) Tiny and Super Tiny are still in the pupa stage, but Tiny's getting close to adulthood. Today we registered AKD for high school. I'm not sure how this can be, that my baby will be a freshman, but there it is. Two more weeks of summer, and then it's back to...some sort of normal. Our new normal, with 3 kids in 3 different schools, anyway. We have a few more fun activities planned and then we're off and running into the new school year. So that's what happened. How was your July? And how are you spending your last bits of summer? Hey y'all. As of today, just 3 weeks remain until school starts up again for my kiddos. We're in crunch time now, trying to fit everything in that we meant to do all summer. One of the things I mean to do before the summer's done is review a cookbook, so this week I'm making several dishes that can be found in Go Fresh. I'm providing the link because you might not want to wait for my review when you read all the yummy recipe names... Go Fresh recipes are marked with GF. 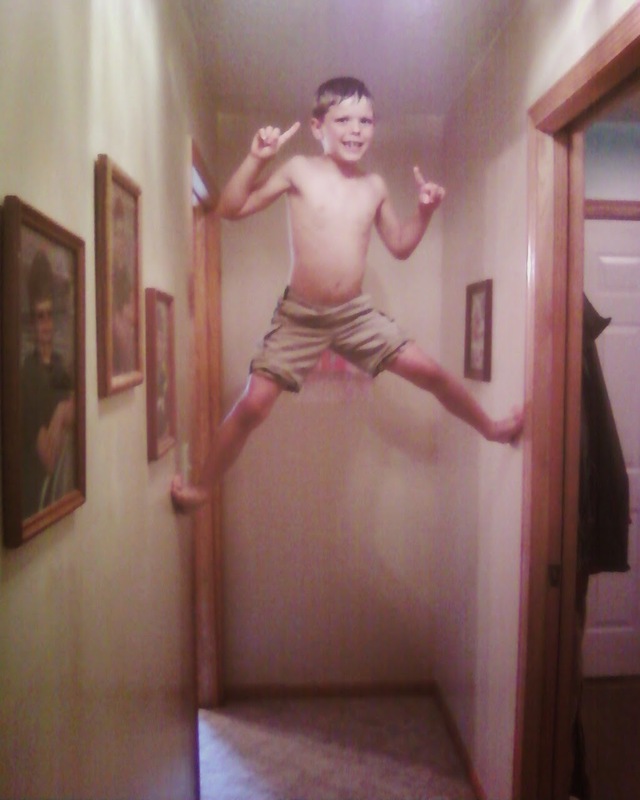 My kids are climbing the walls. This is the spider climb and traveling spider portion of their indoor Bluefield Ninja Warrior obstacle course (they have an outside course as well). The buzzer is the carbon monoxide detector above his head. Now some mamas might insist that their children discontinue such behavior, but my kiddos are not fighting, and they're not breaking themselves, each other, or my house, so I say, have at it, boys. Climb on. I've been doing a little bit of running lately. I should clarify. When I say "running," what I mean is jogging. Slowly. Barely faster than my fast walk pace. I've been running slow-jogging intervals. That means I run slow-jog from this mailbox to that mailbox or from the no passing sign to the 5th crack in the road, then I'll walk for a bit, and go back to running slow-jogging from the corner to the 3rd driveway, which in my rural area could be as much as 1/4 of a mile. My goal is to be able to travel 3 miles in 30 minutes on foot by the end of October. Totally do-able. I don't enjoy running. I would like to enjoy running, and I certainly think the potential is there for me to enjoy running someday, but I'm not quite there yet. Or even very close. I do like being in a position to make my body do what I tell it to do, so that's a start. Anyway... I'll be slow-jogging along and I'll be eyeing my finish line mailbox or crack or whatever, and it's not fun. The pounding, the fast breathing, the sweating. It is sooo not fun. As I get closer to the end of an interval, it is so tempting to speed up. So it'll be over faster. But I have learned--the hard way--that it is much easier to complete the running slow-jog intervals if I continue to maintain my slow and steady pace. "And let us run with perseverance the race marked out for us..."
According to Dictionary.com, perseverance is steady persistence in a course of action, a purpose, a state, etc., especially in spite of difficulties, obstacles, or discouragement. Steady persistence. Determined continuation. Steady and continued action. Consistent. Some translations use endurance or patience instead of perseverance. All implying that this race is more a marathon than a sprint. I don't know about you, but sometimes I get impatient in this race I'm running, this life I'm navigating. I want answers. I want action. Now. I get tired of plodding along. I know that God's promises are true, but I can't see how to get there from here. Sometimes, it is so not fun. And it is so tempting to step off the race course. The hard truth is that God's timing is God's timing, not ours. And if we try to speed up, if we try to go our own way in an effort to reach the finish line faster, instead of staying on God's path, we just make it harder on ourselves. Let's run with perseverance, friends.